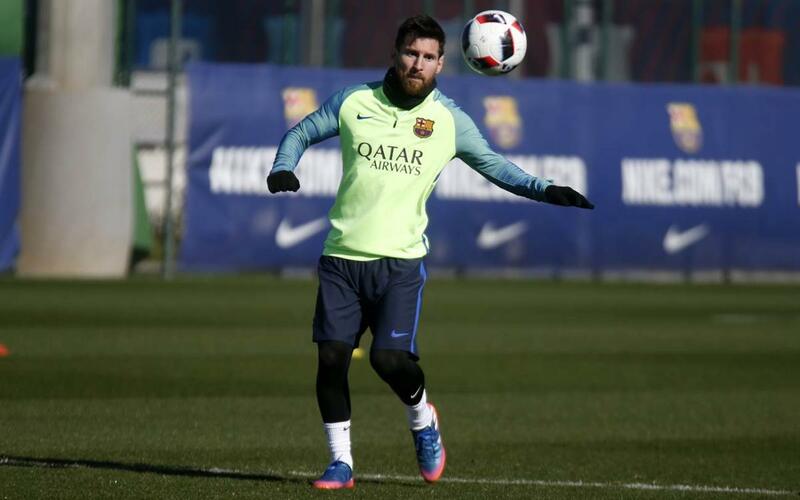 The hectic schedule at FC Barcelona continues. Following Sunday’s recovery session after beating Athletic Club 3-0 on Saturday (highlights), the first team were back at the Ciutat Esportiva on Monday morning for one more workout before it’s back to the field again to face Atlético Madrid in the second leg of the Copa del Rey semi-final (tickets here). Barça, of course, will be going into that with a 2-1 lead from the first leg at the Calderón, meaning the visitors will need to score at least two goals to have any chance of qualifying, but Luis Enrique is taking no chances. Luis Suárez was rested on Saturday and Leo Messi was withdrawn once victory looked secured. All of the available players were involved in today’s session on pitch two at the Barça training facility, after which the coach gave a media conference.